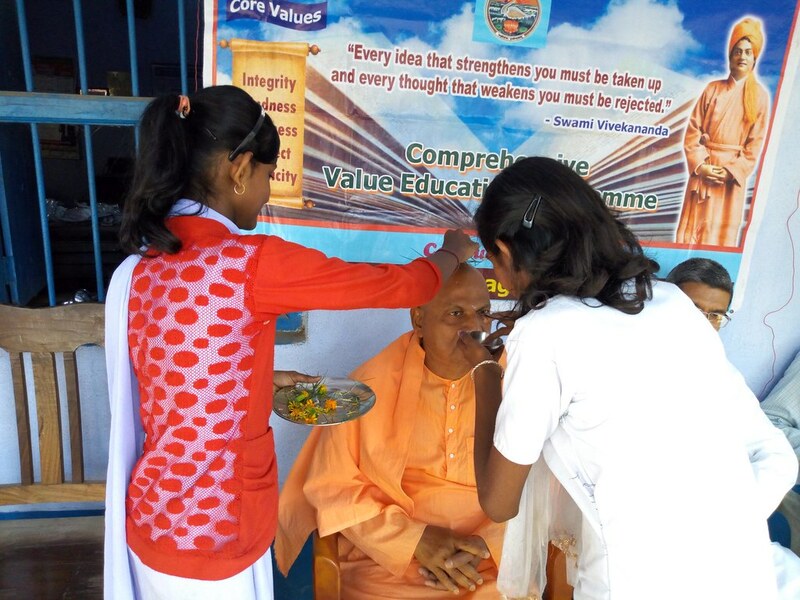 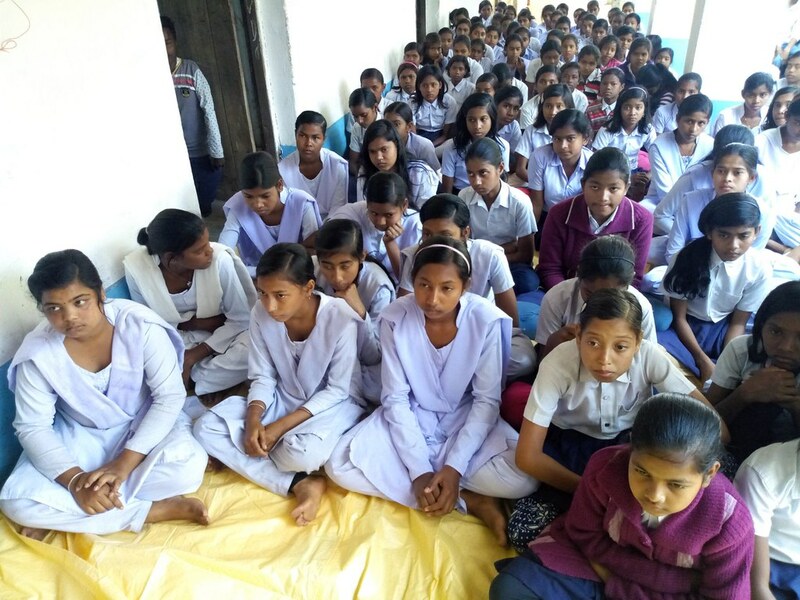 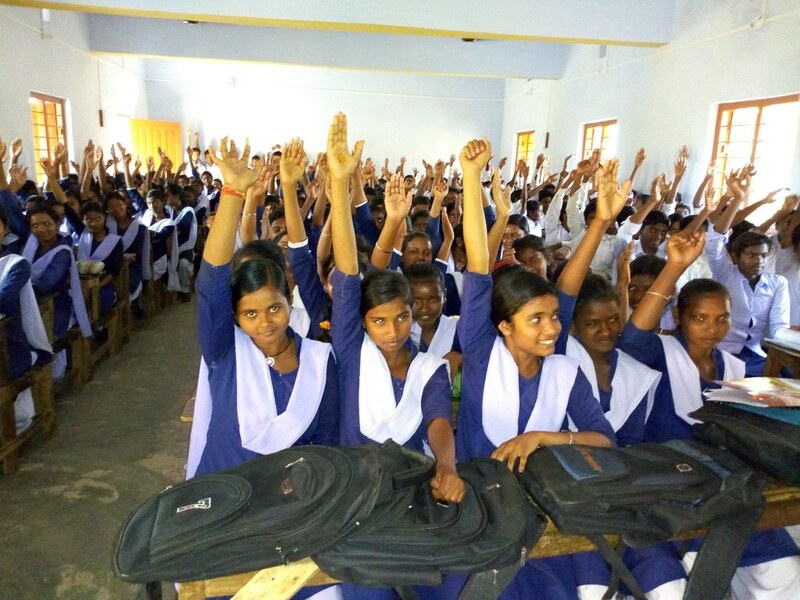 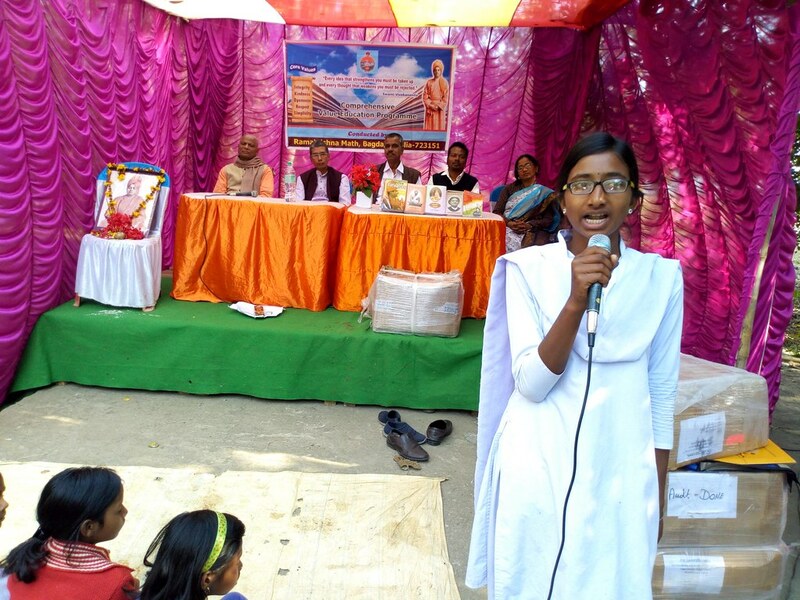 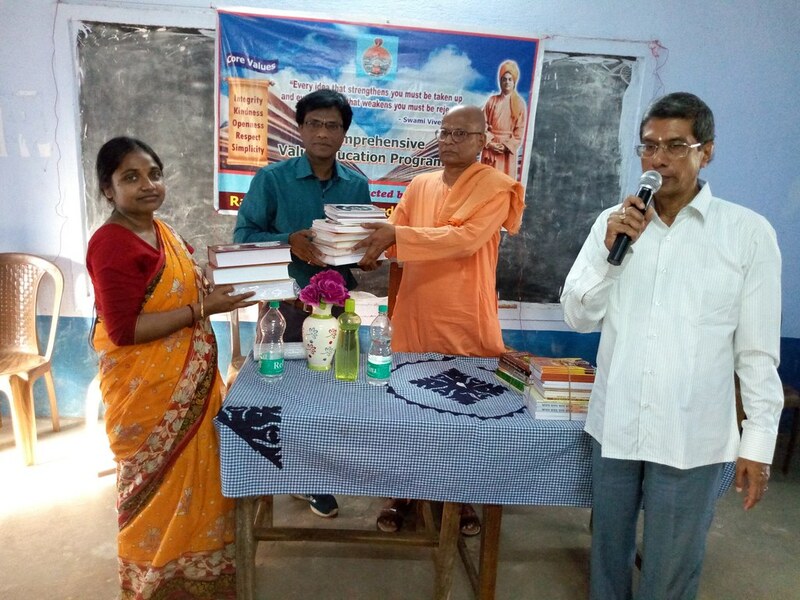 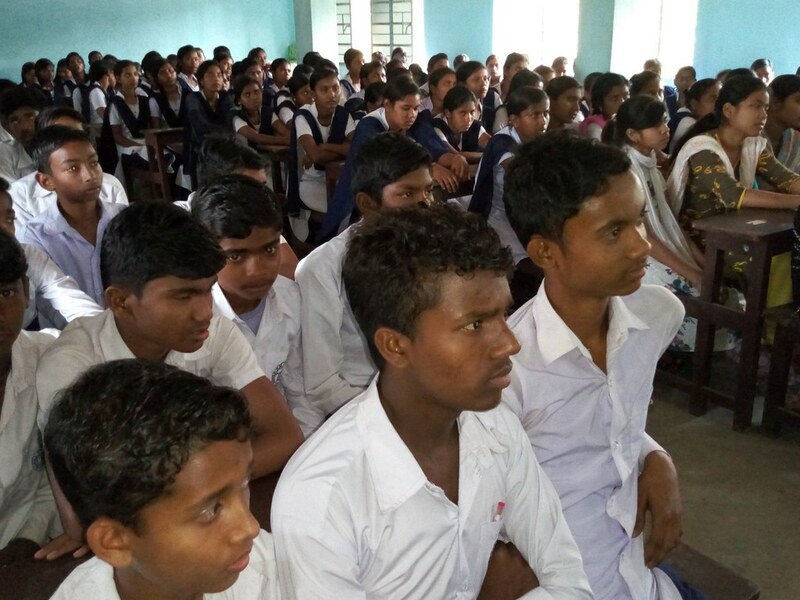 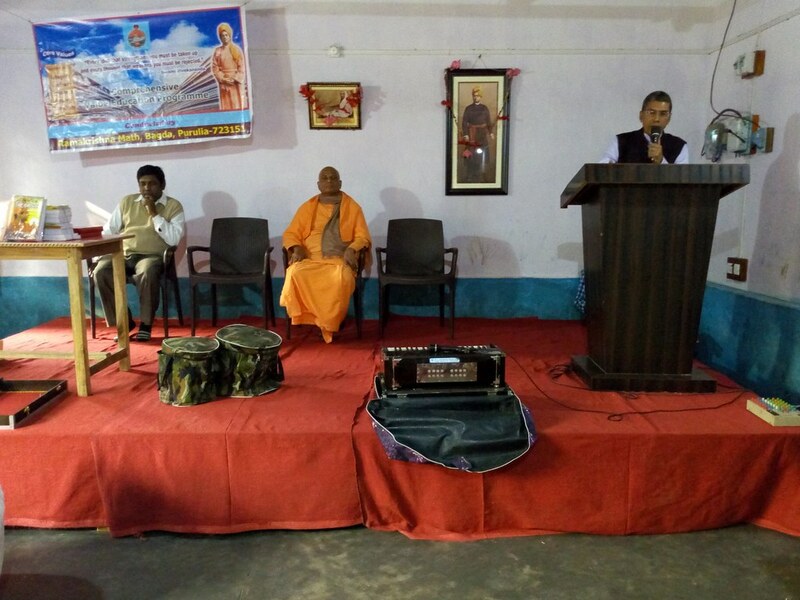 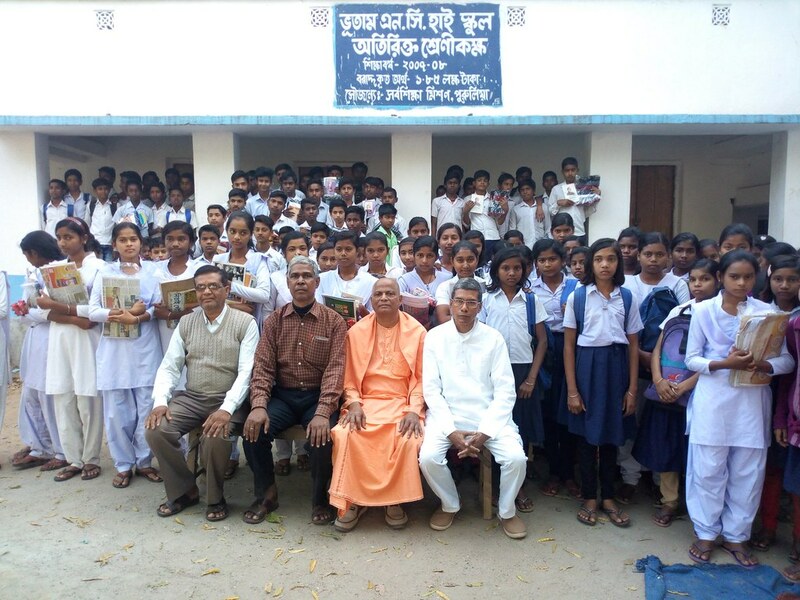 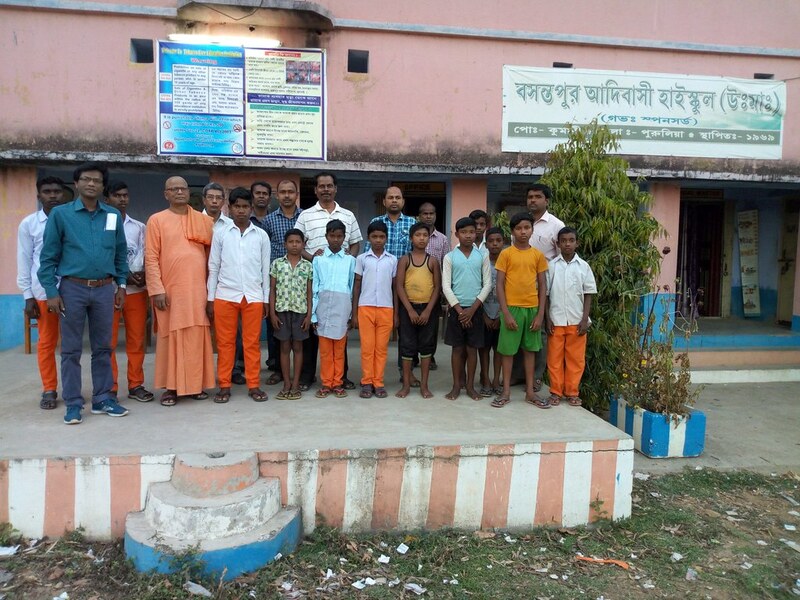 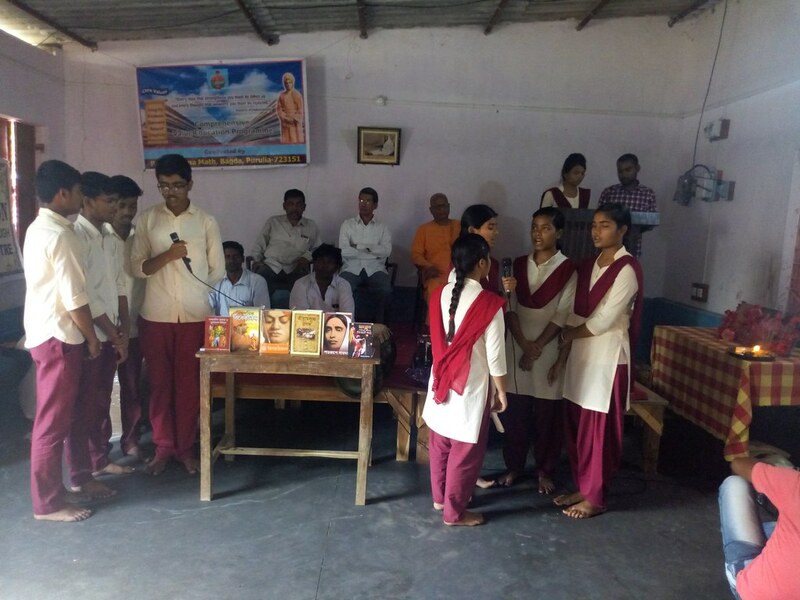 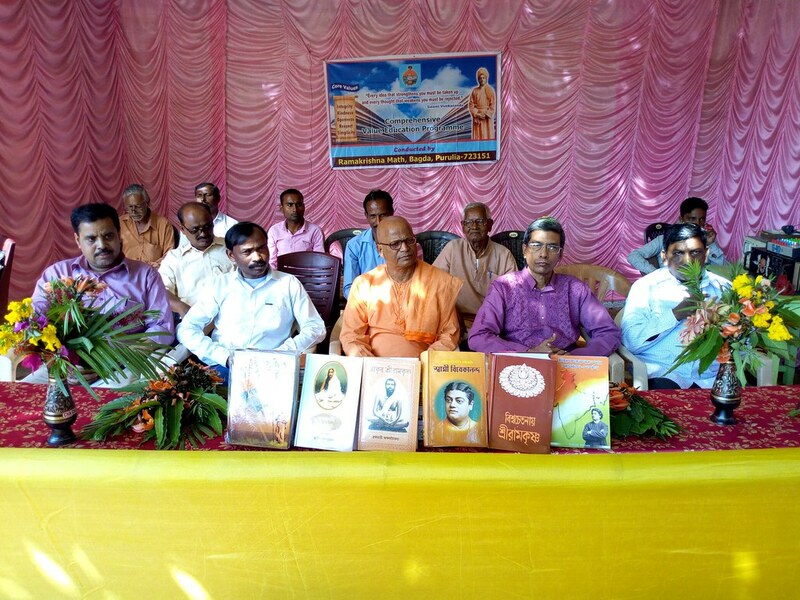 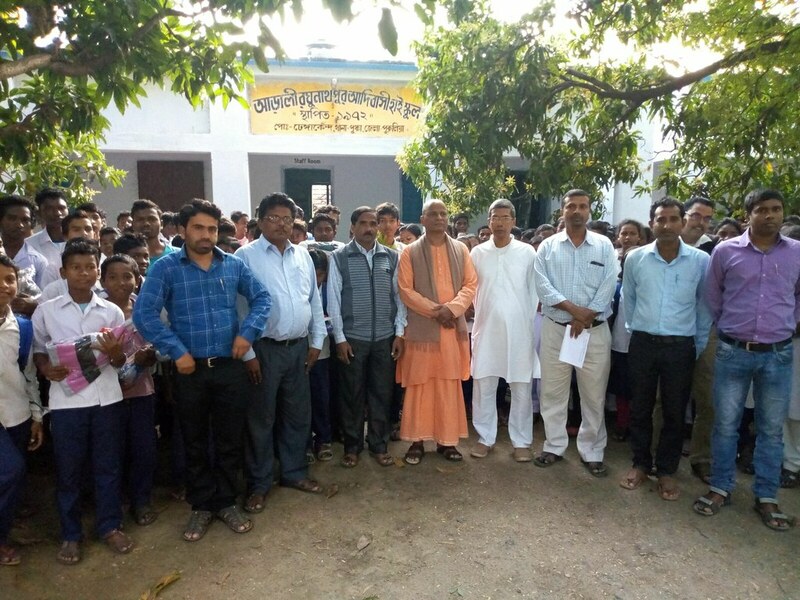 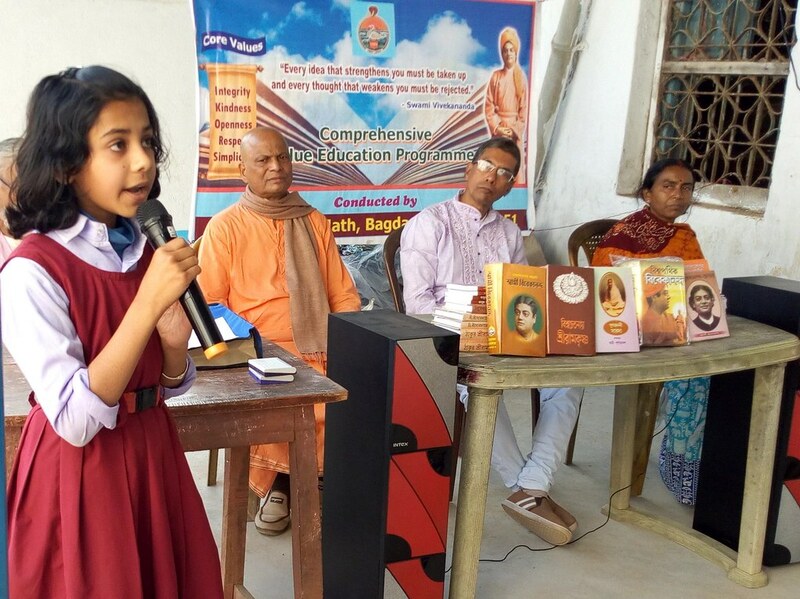 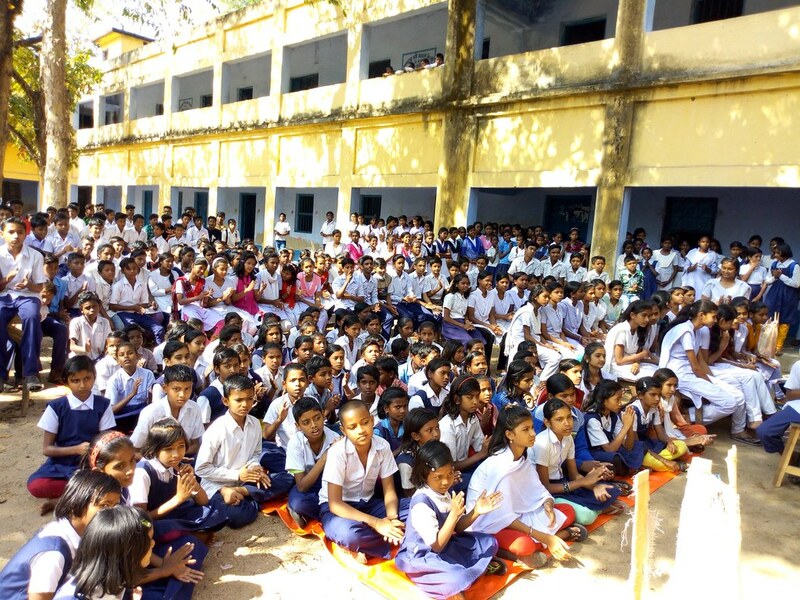 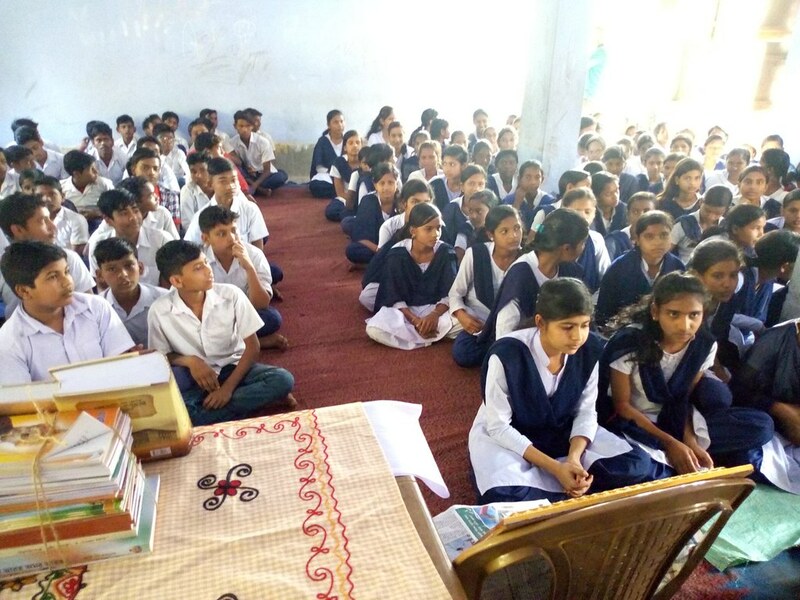 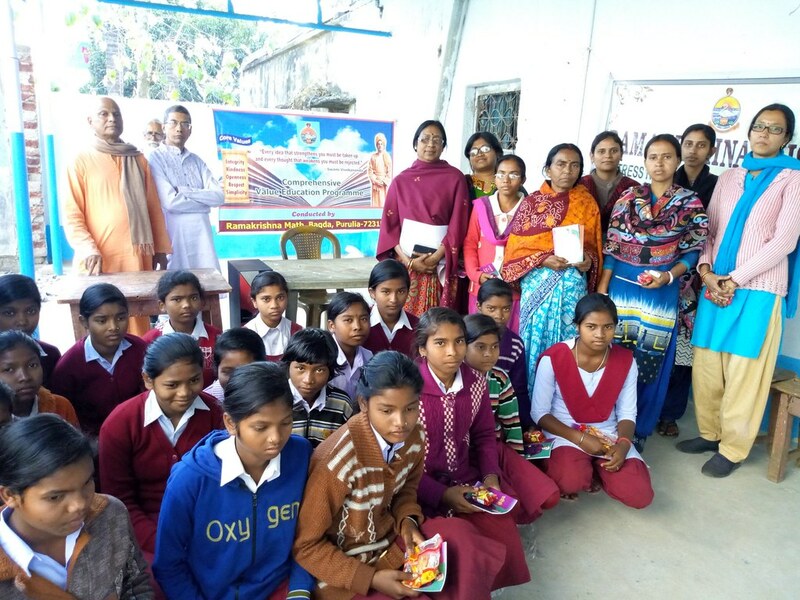 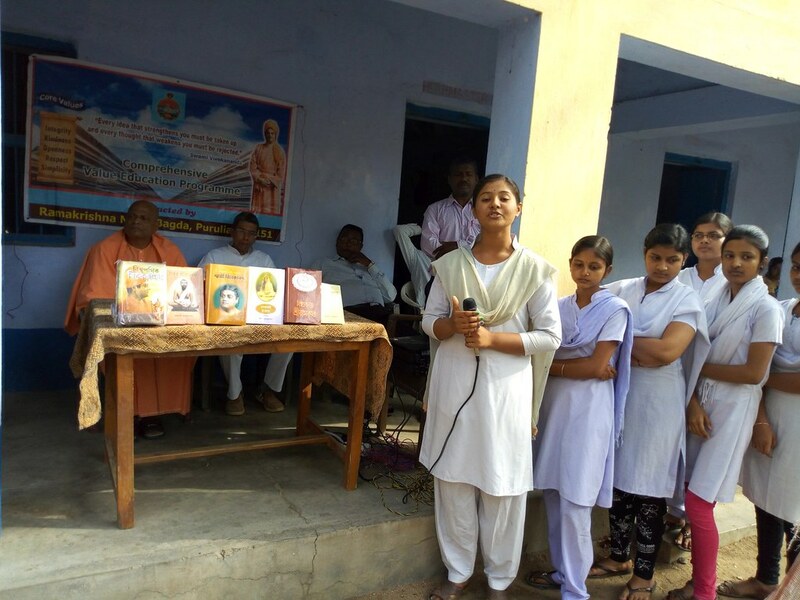 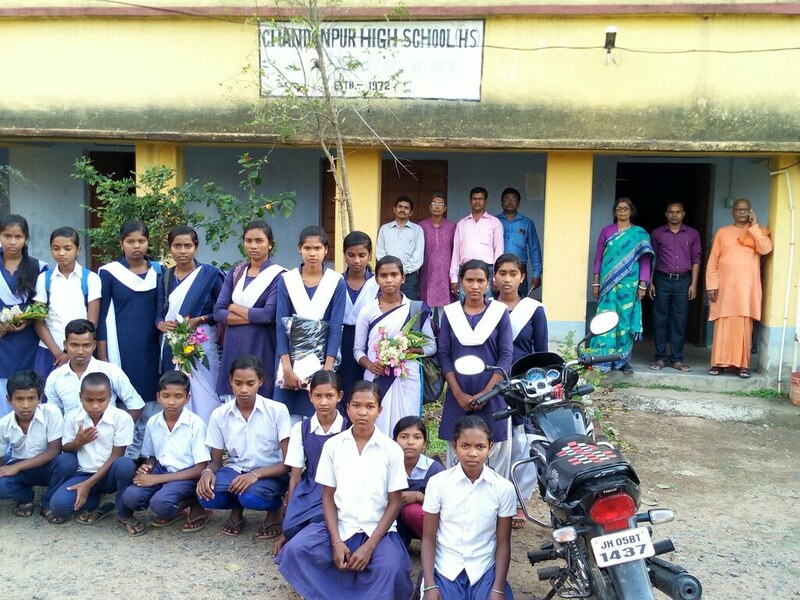 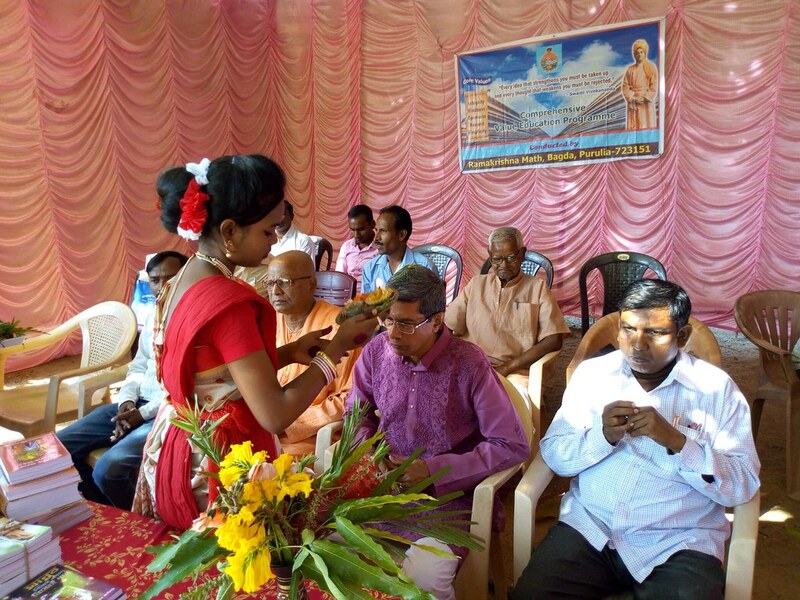 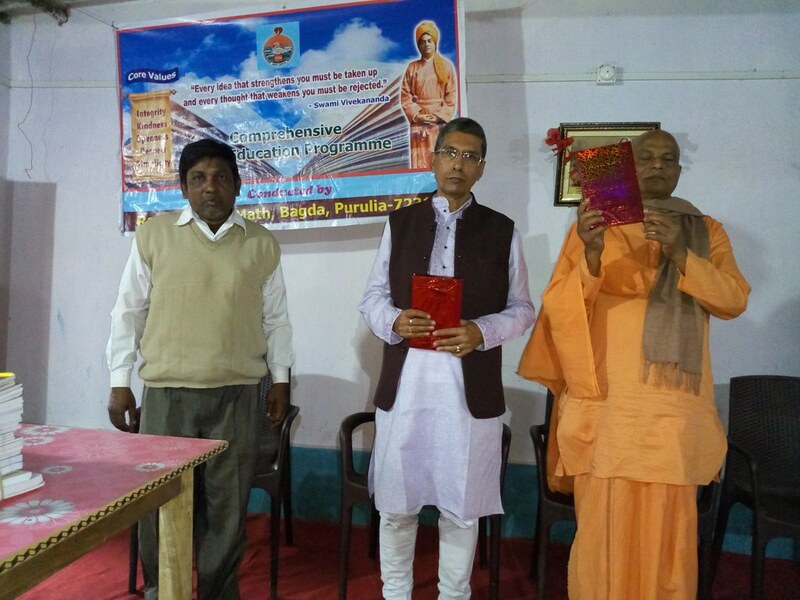 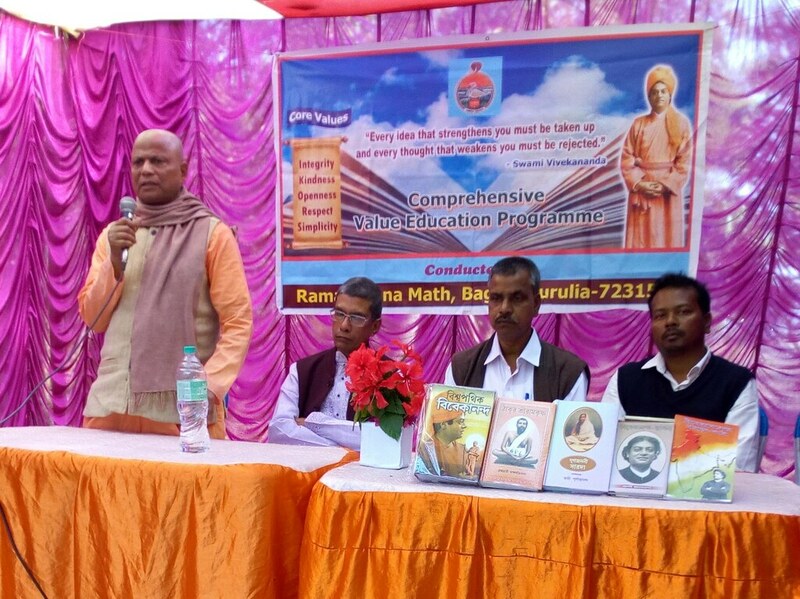 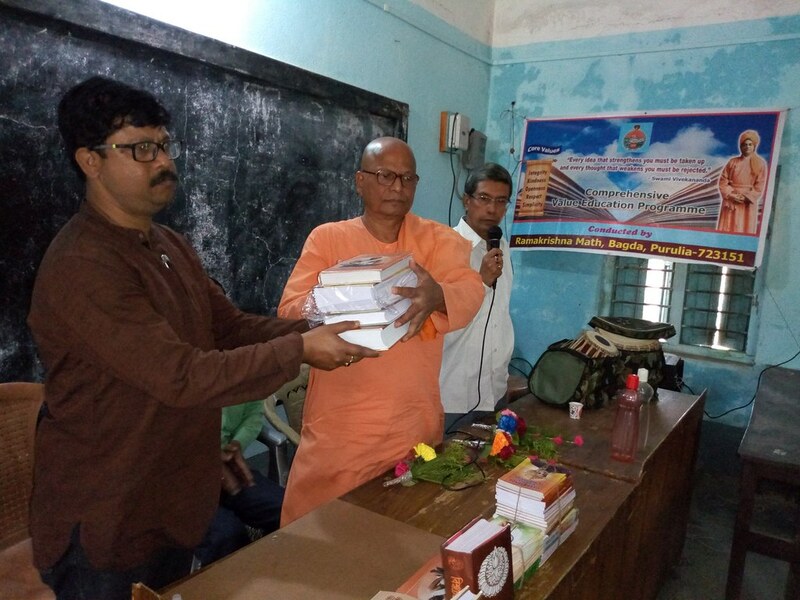 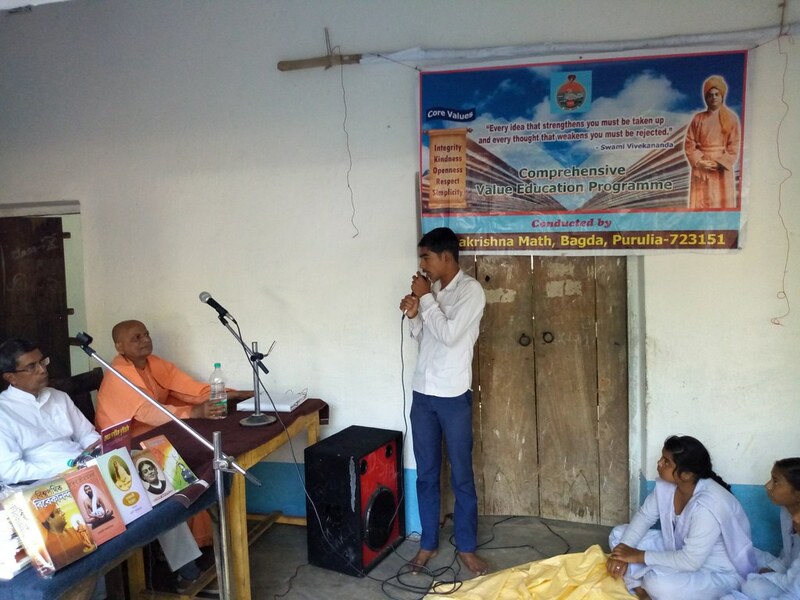 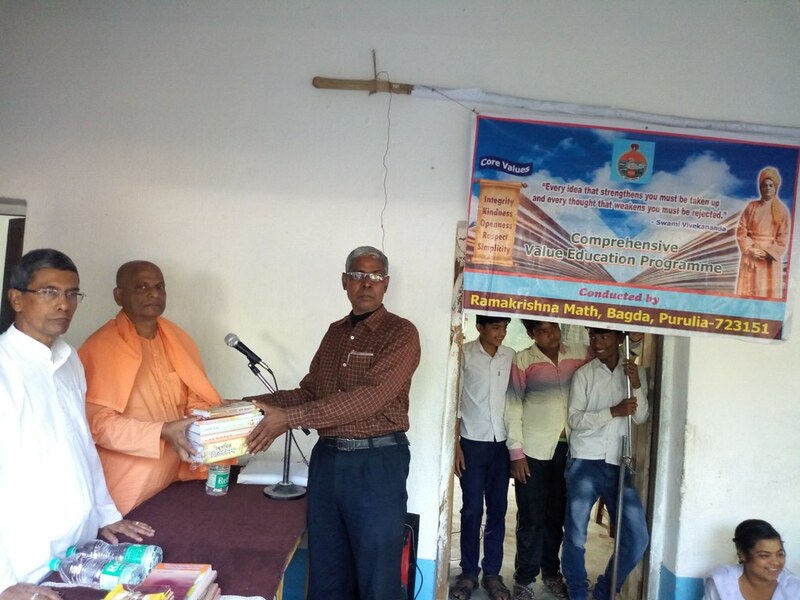 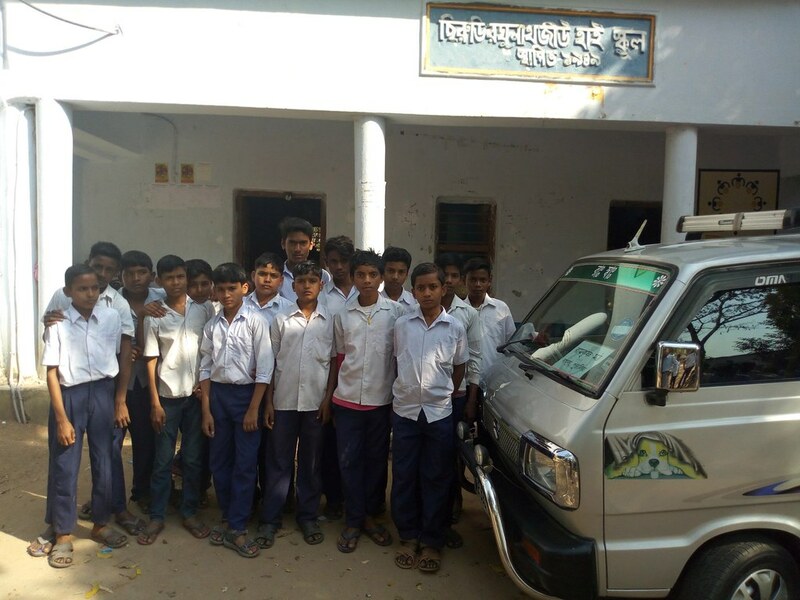 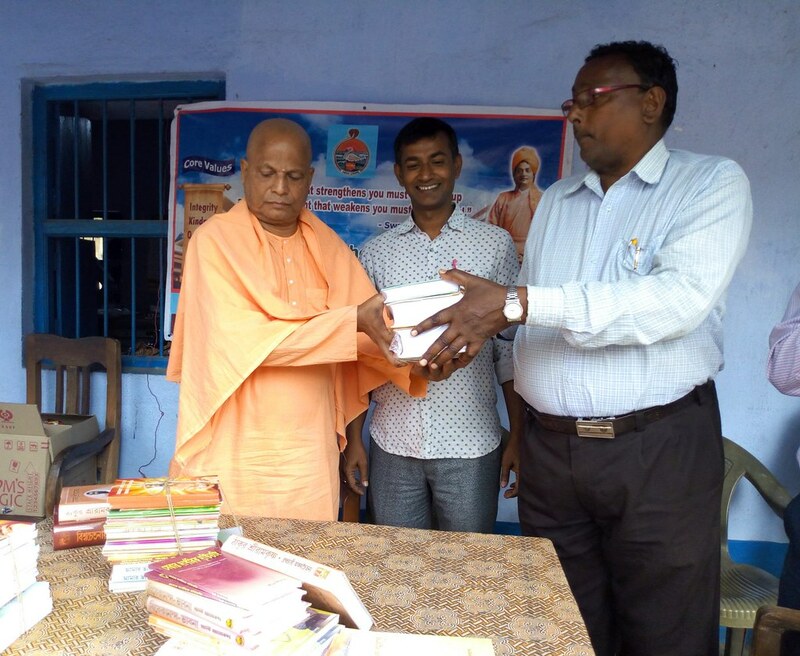 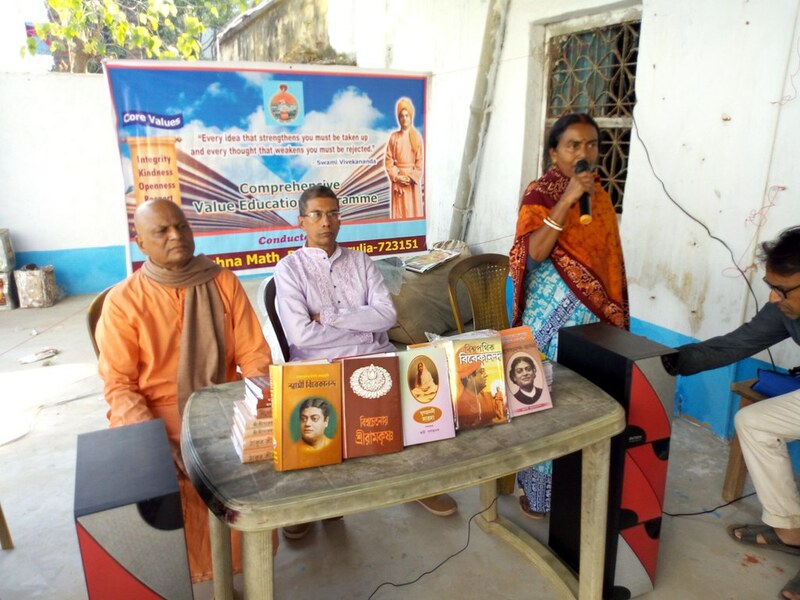 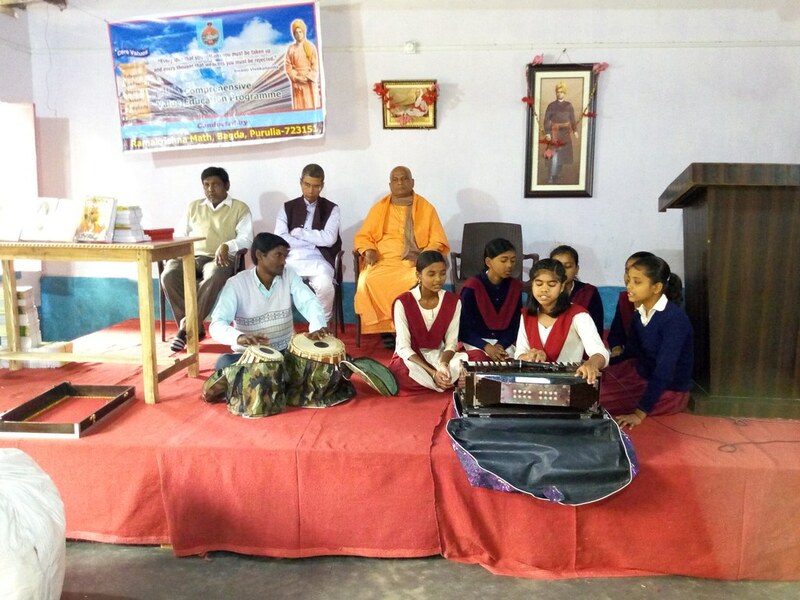 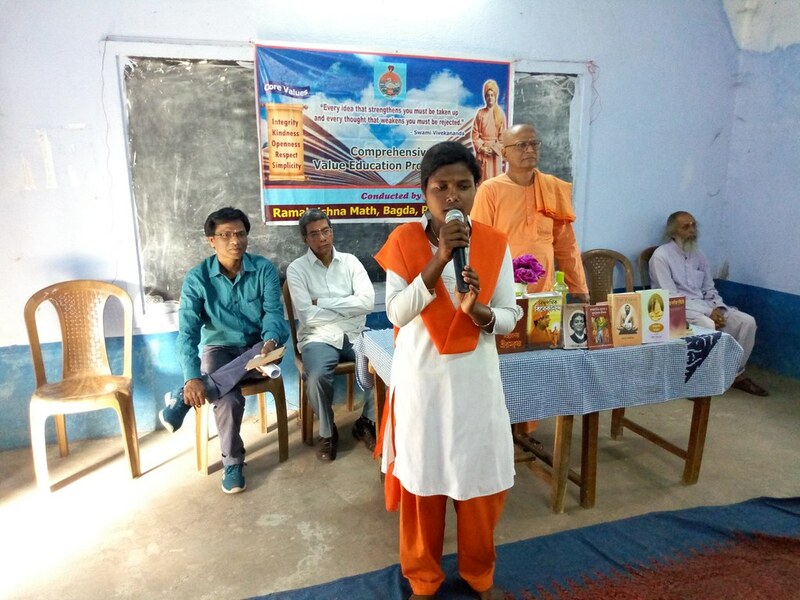 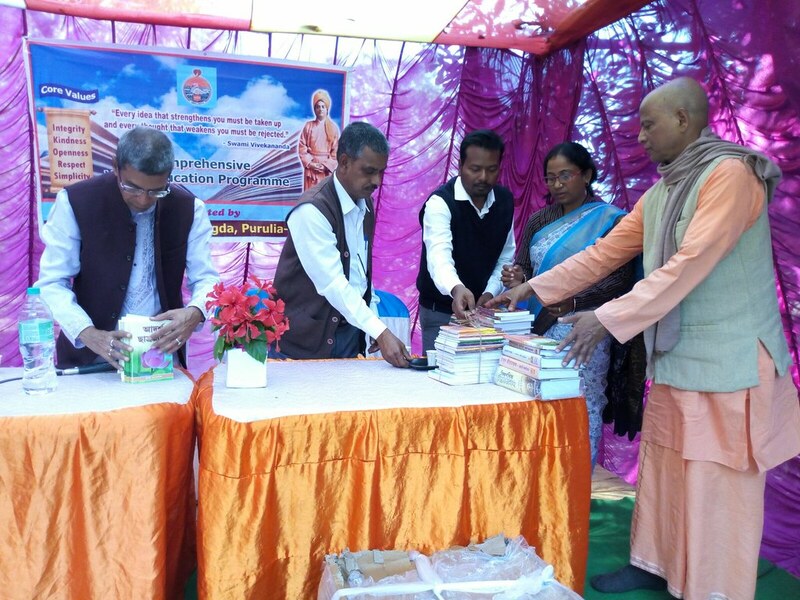 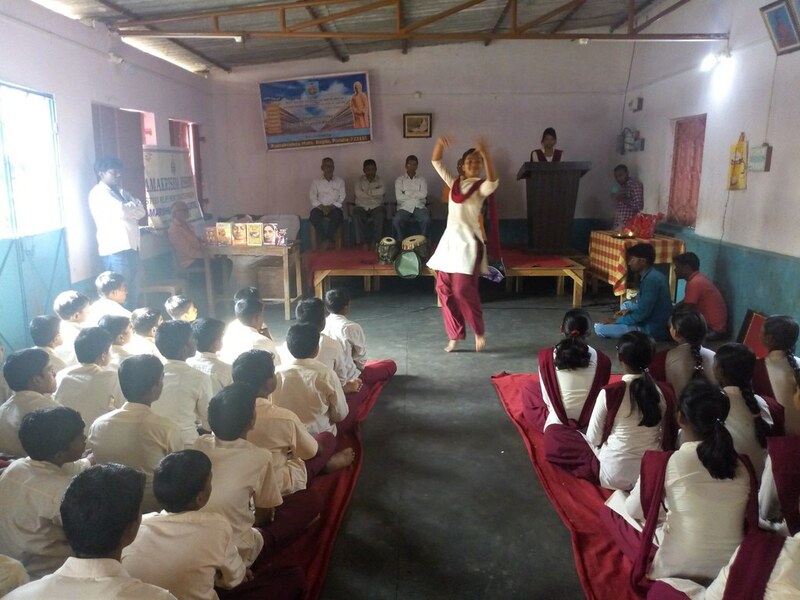 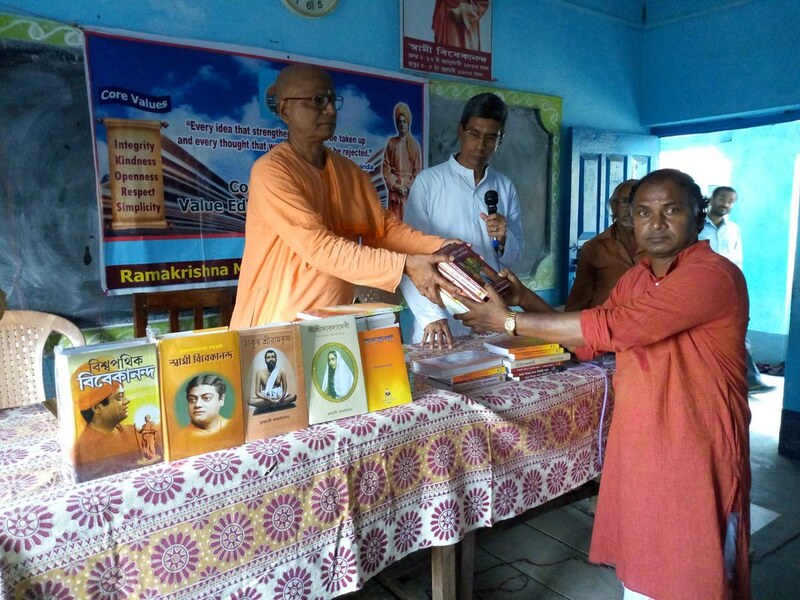 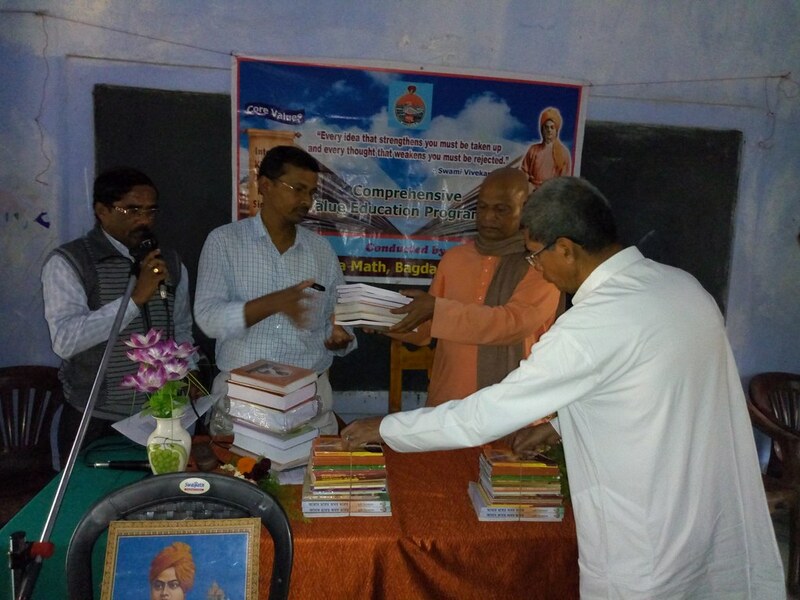 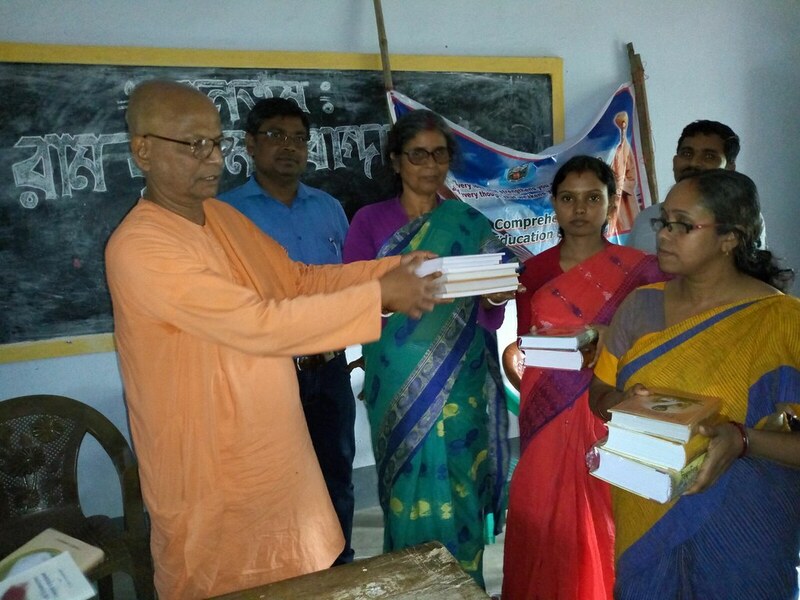 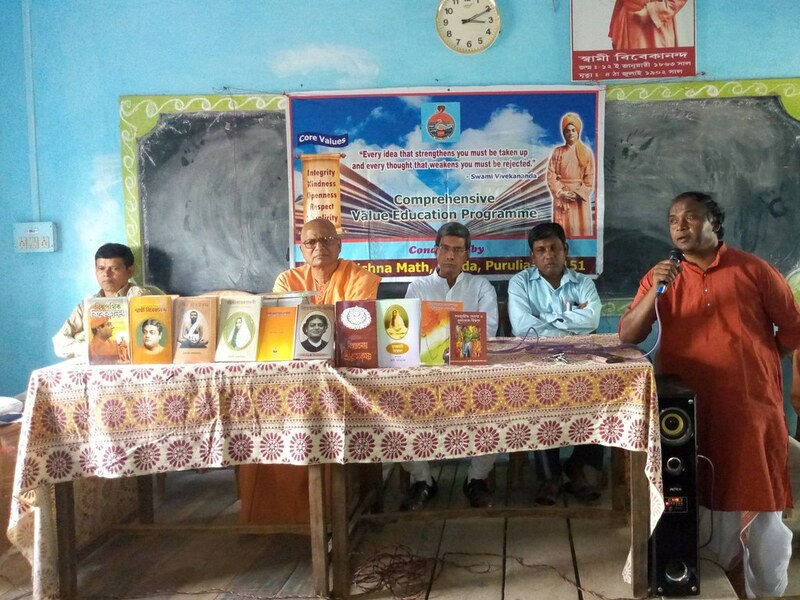 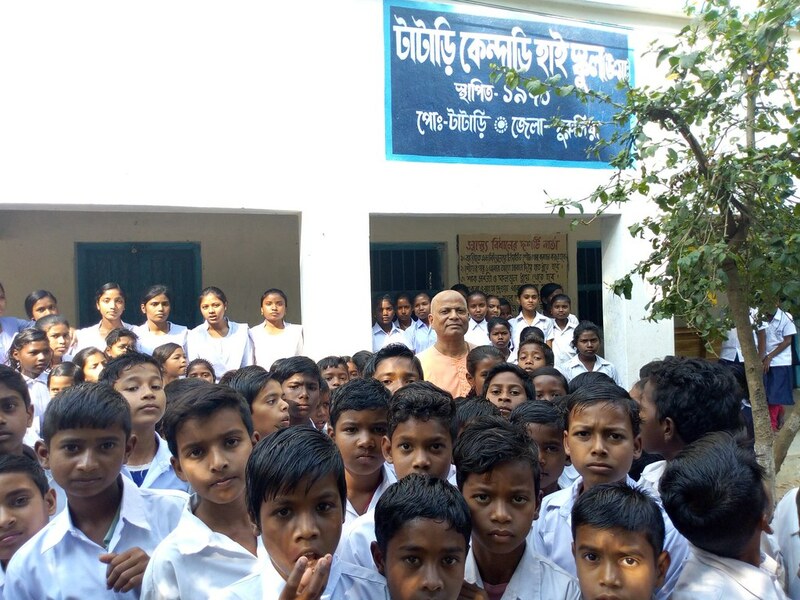 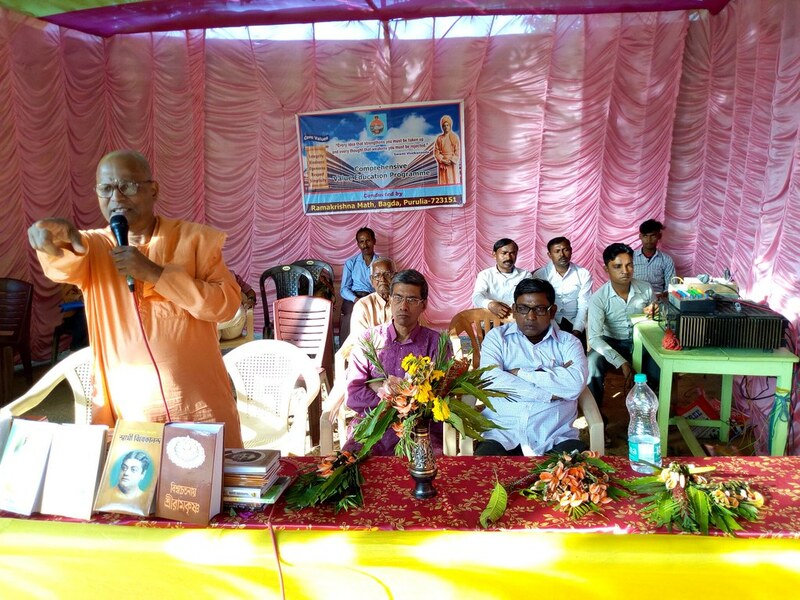 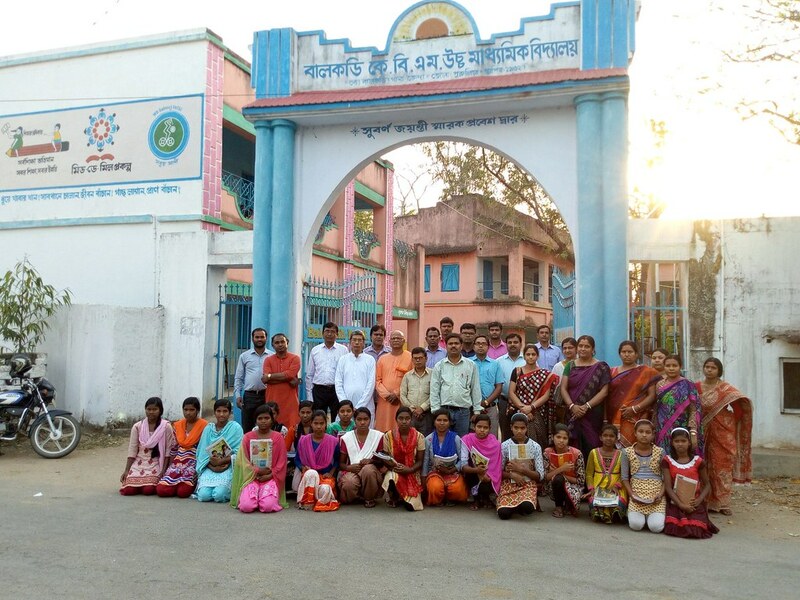 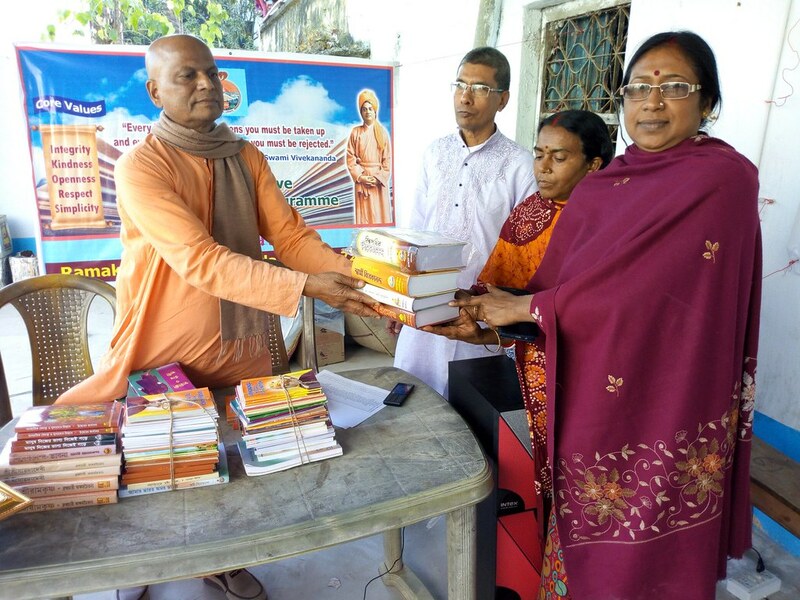 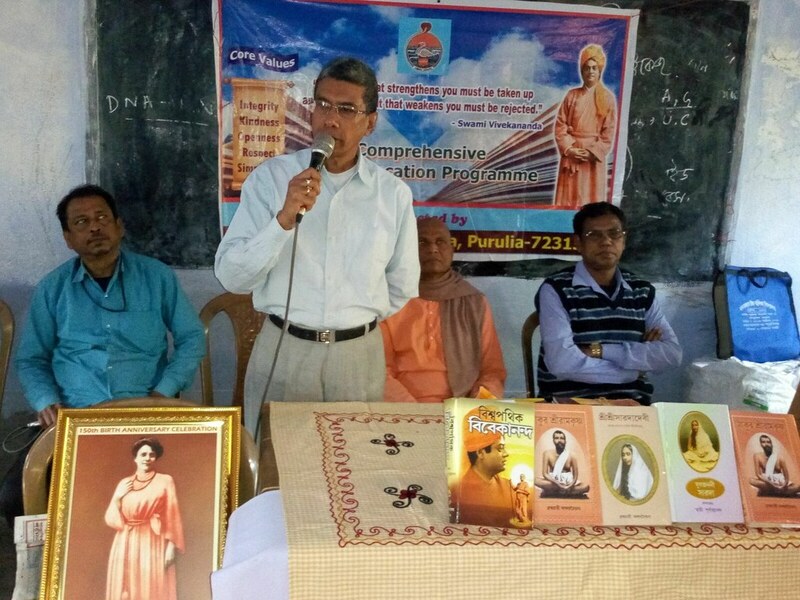 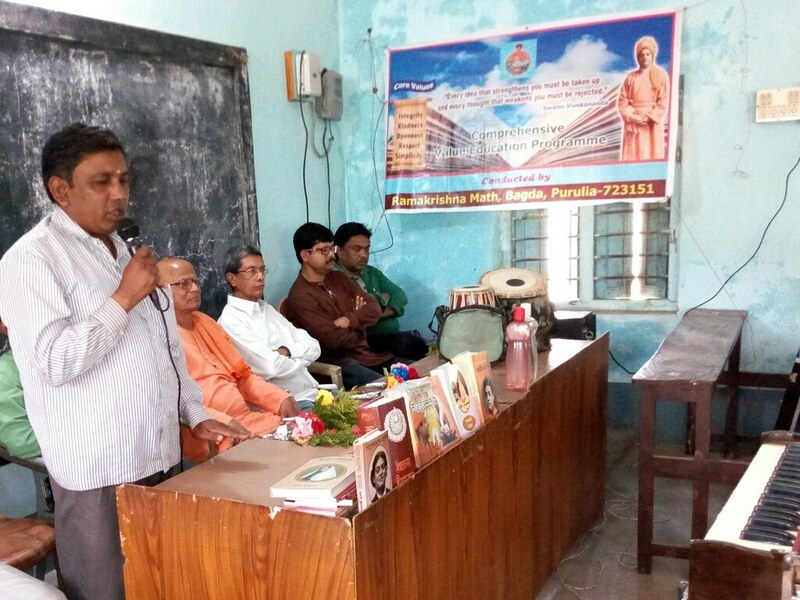 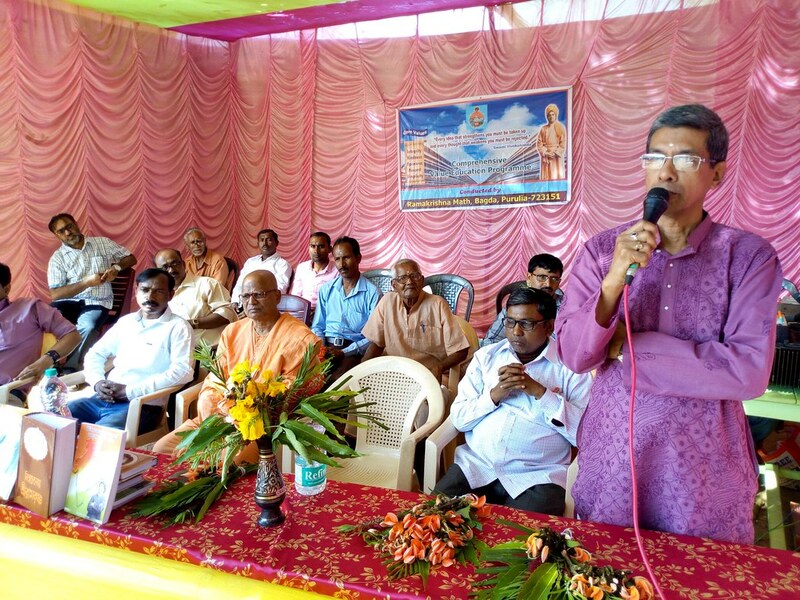 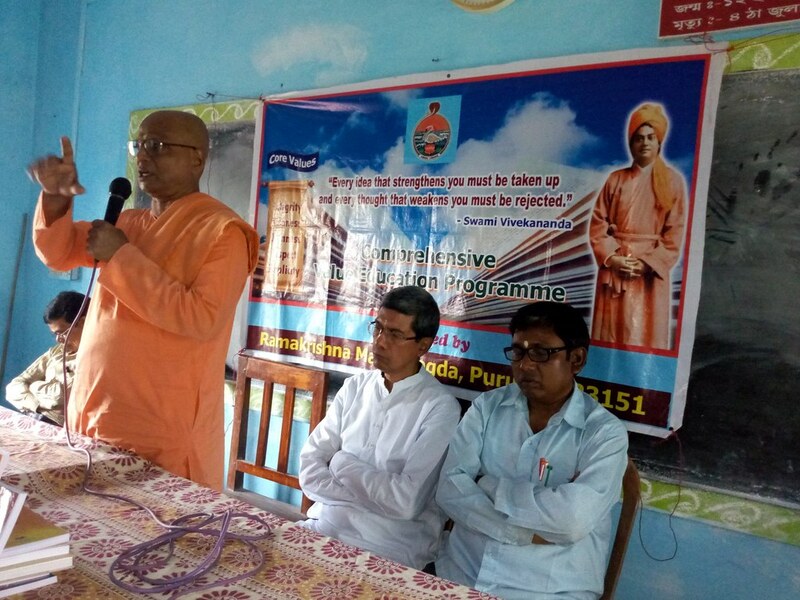 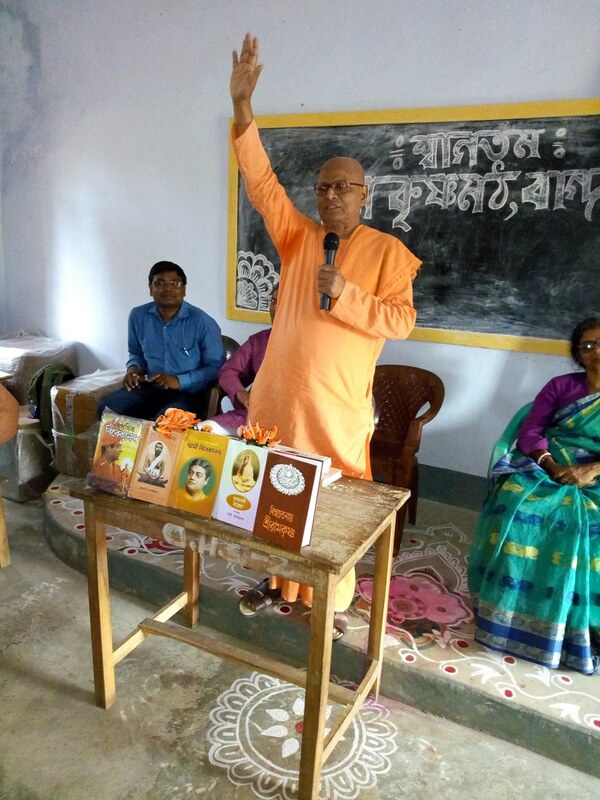 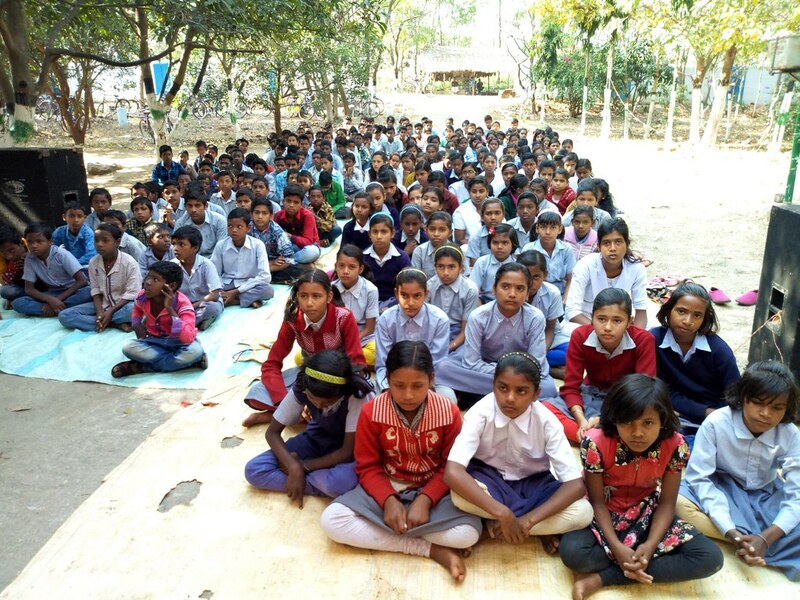 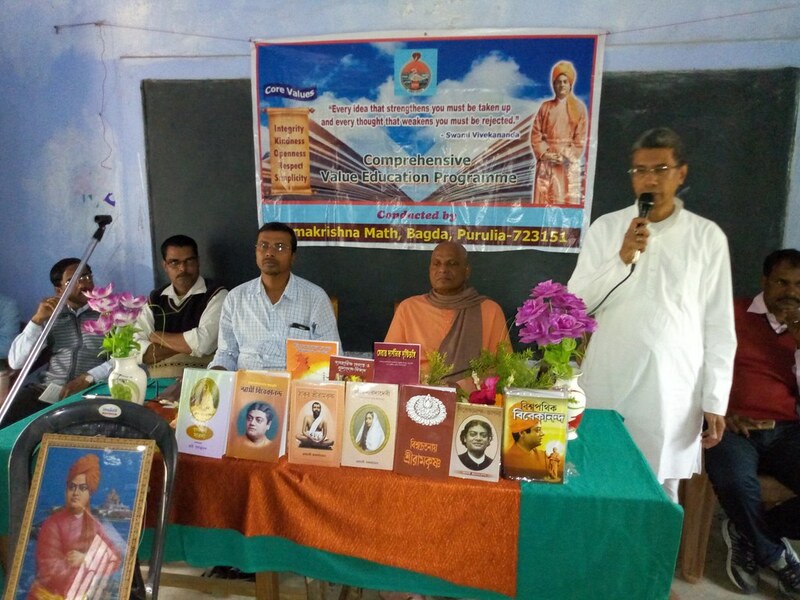 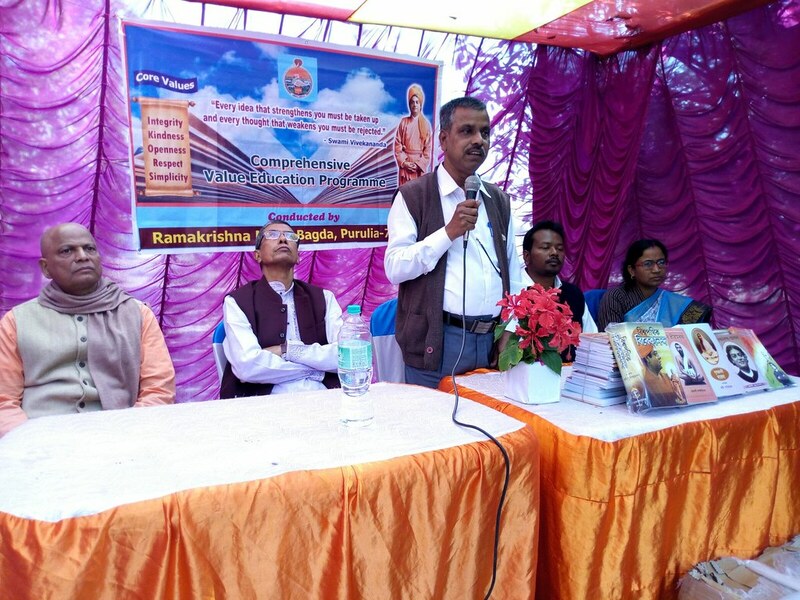 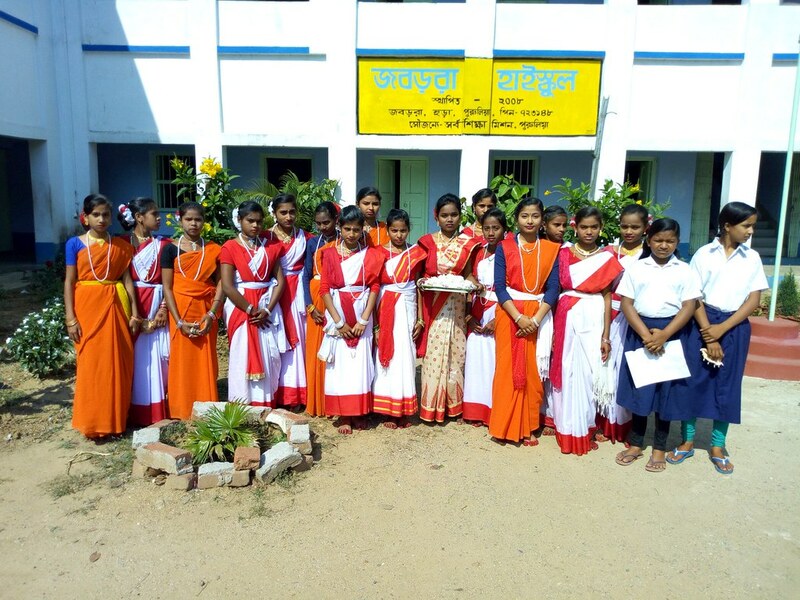 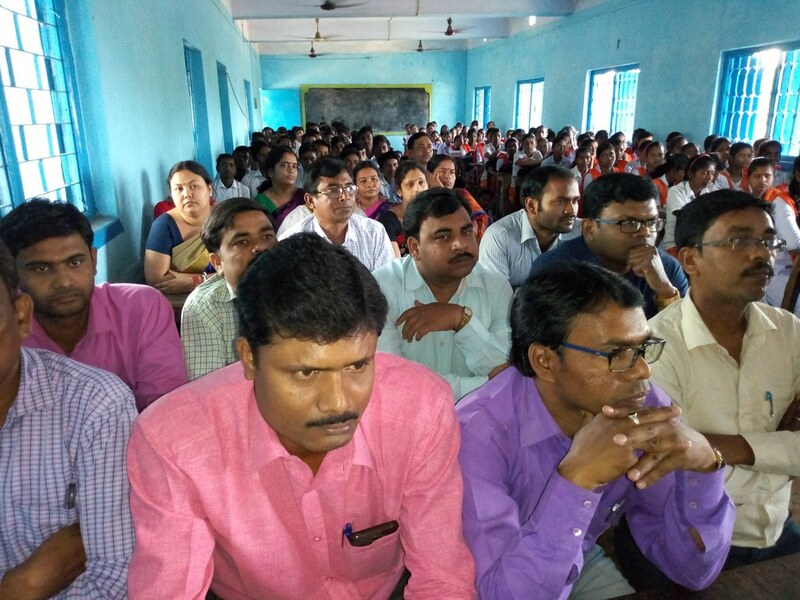 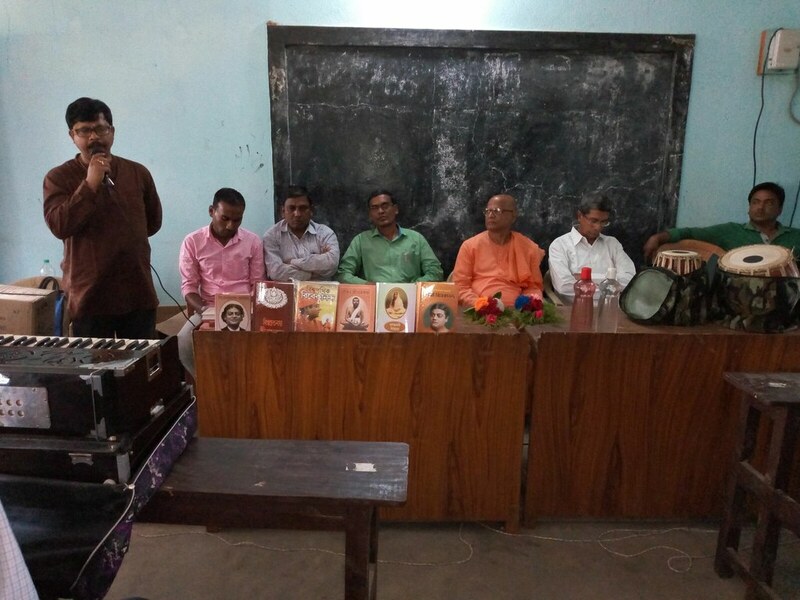 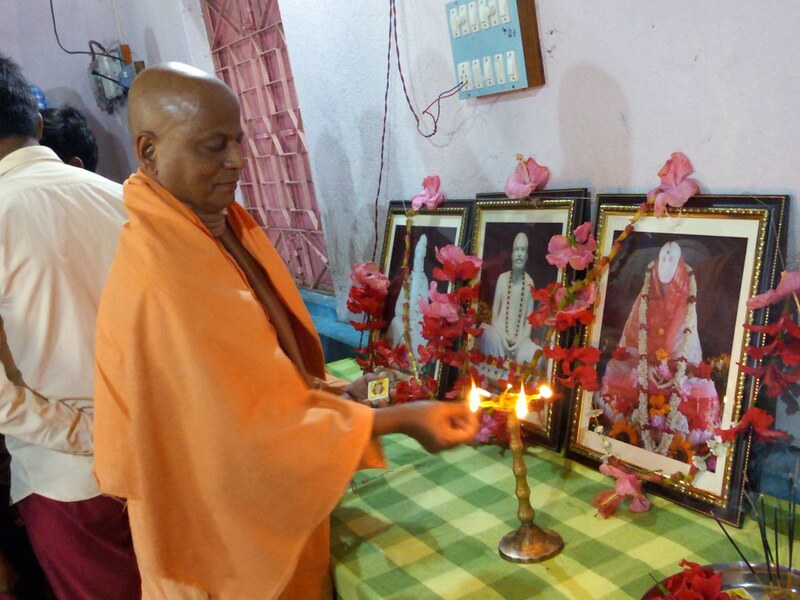 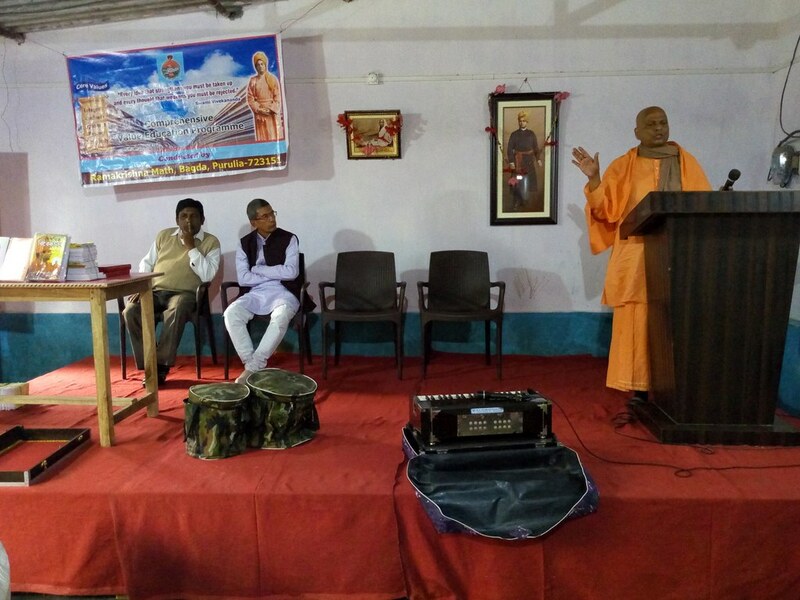 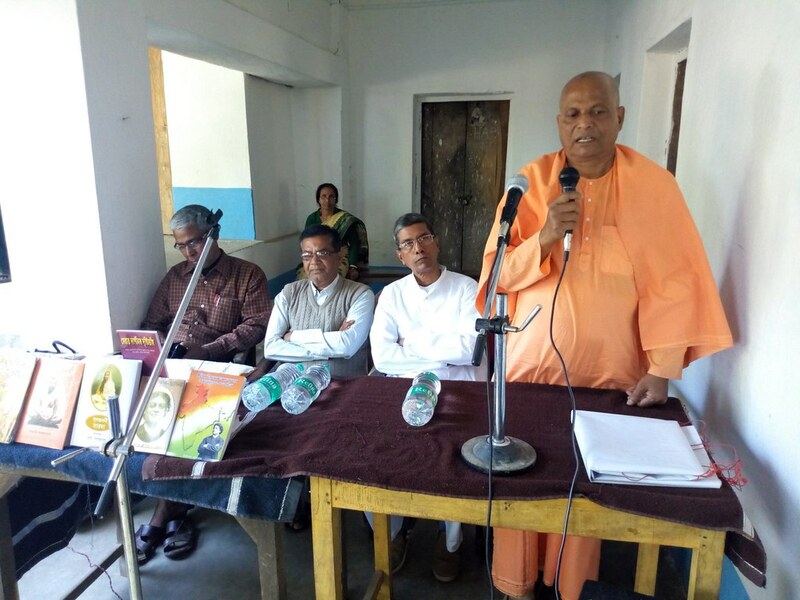 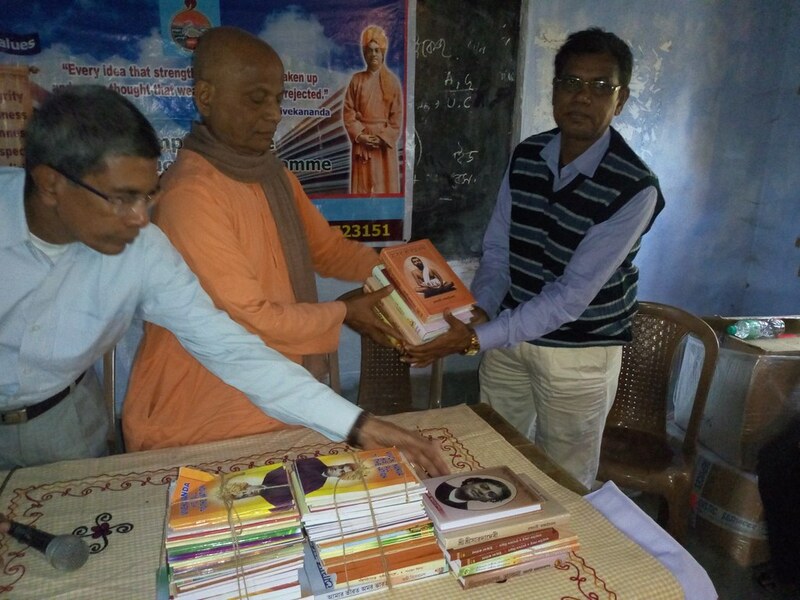 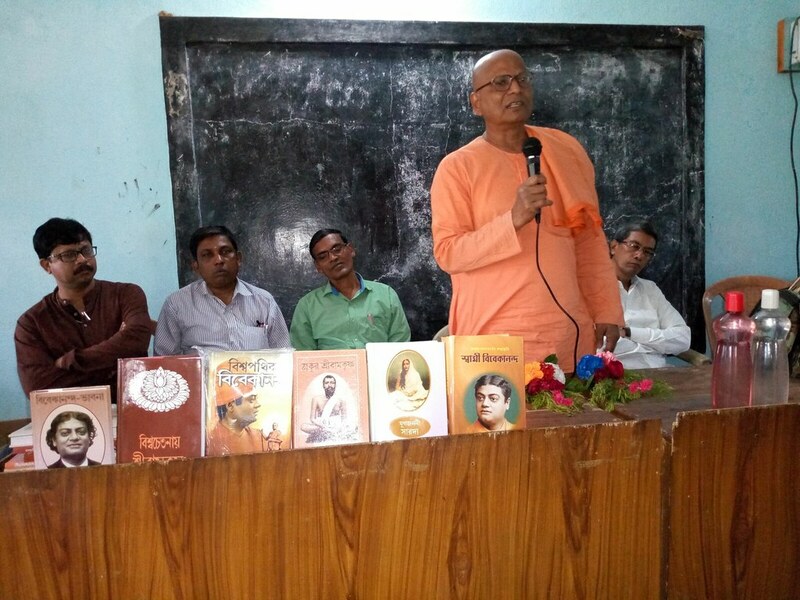 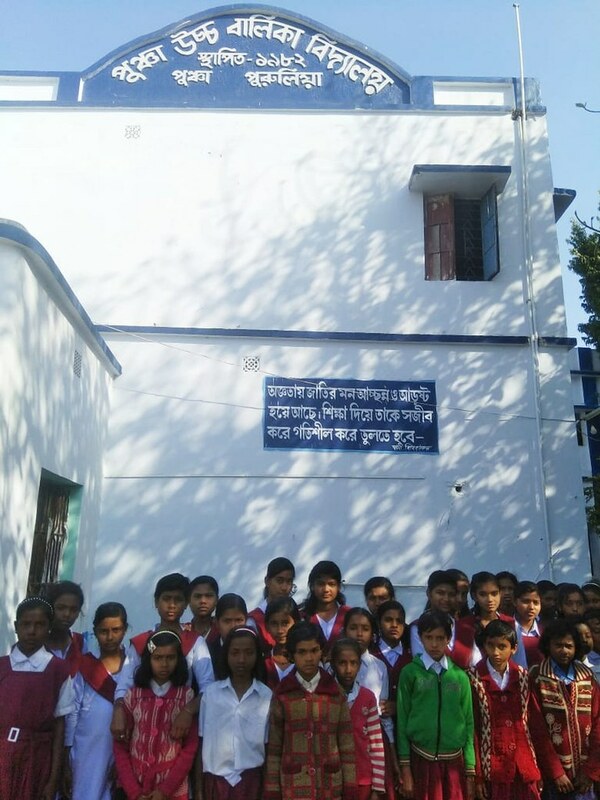 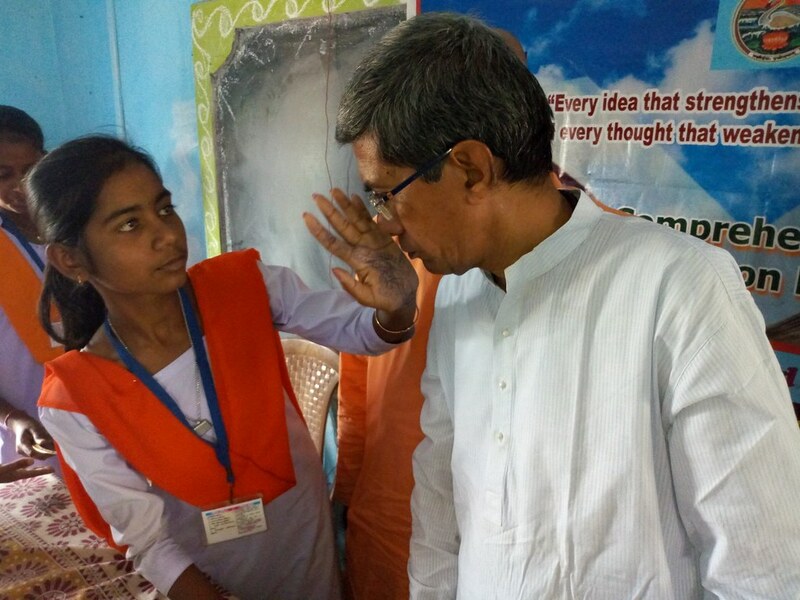 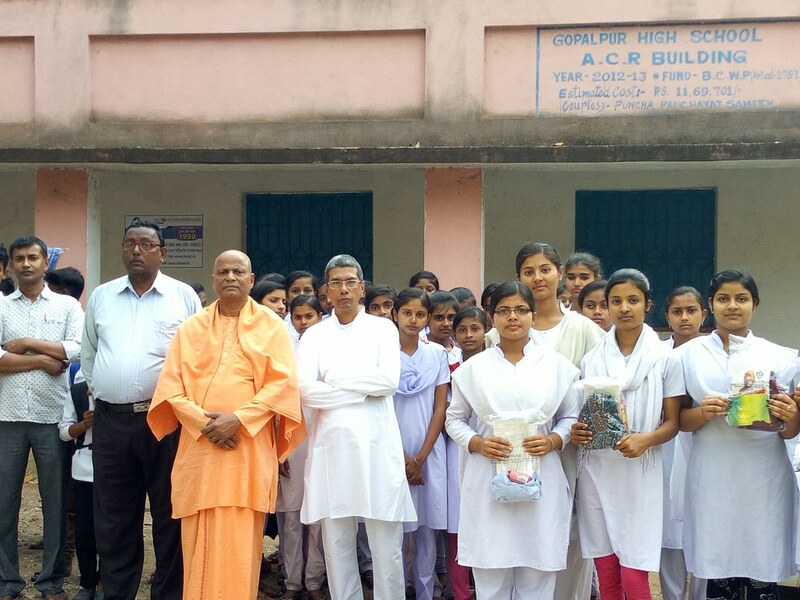 Ramakrishna Math, Bagda conducted Value Education Programmes in 13 schools of different villages in and around Purulia district, from 7 February 2019 to 29 March 2019. 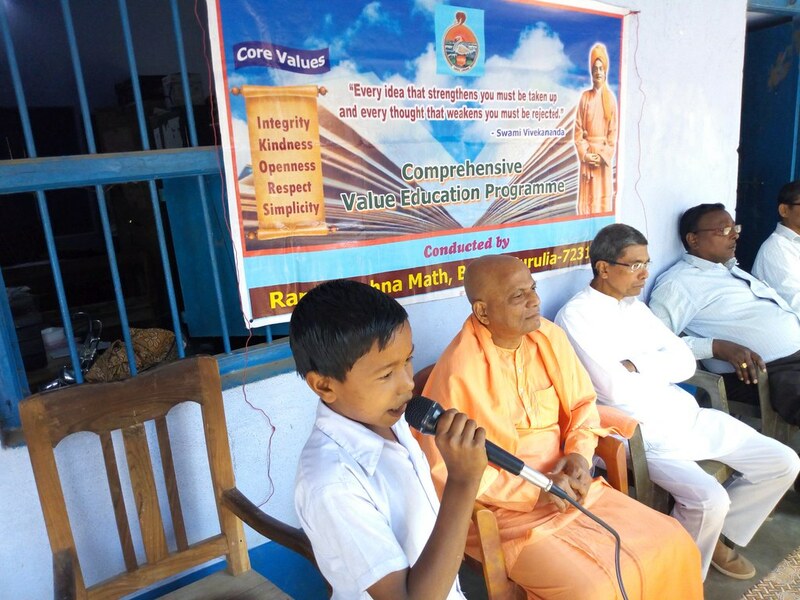 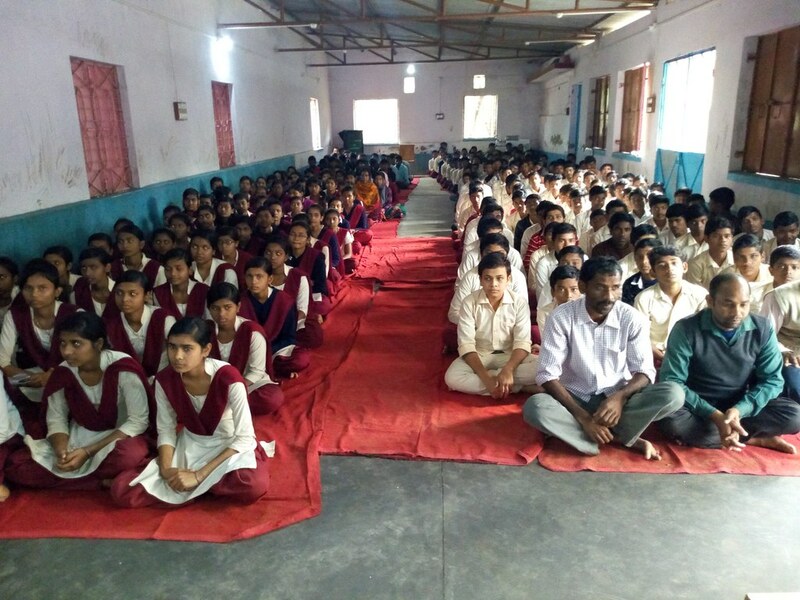 The programmes included talks on moral values and its impact on present education system, brief talks on various topics like character building, personality development, purpose of setting goal in student life etc. 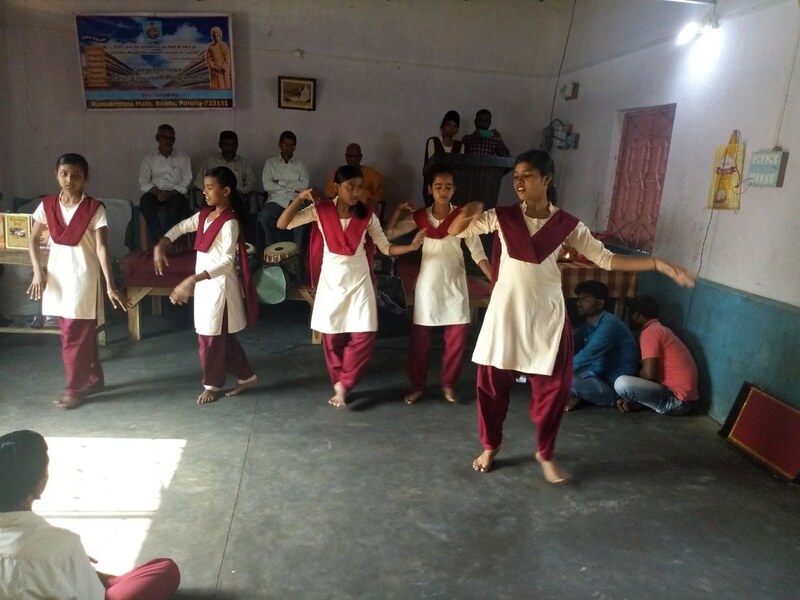 and cultural activities. 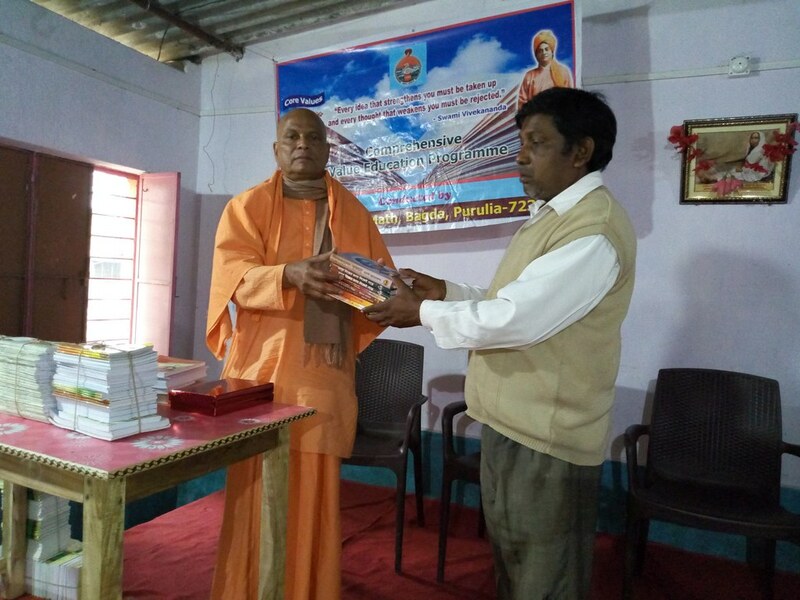 Books on the life and teachings of the inspiring people including the Holy Trio were given to the school authorities for their libraries. 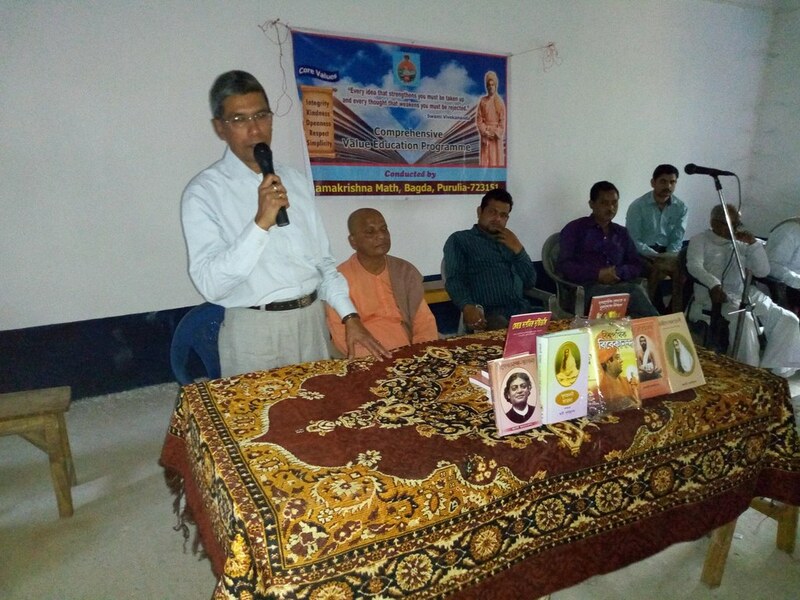 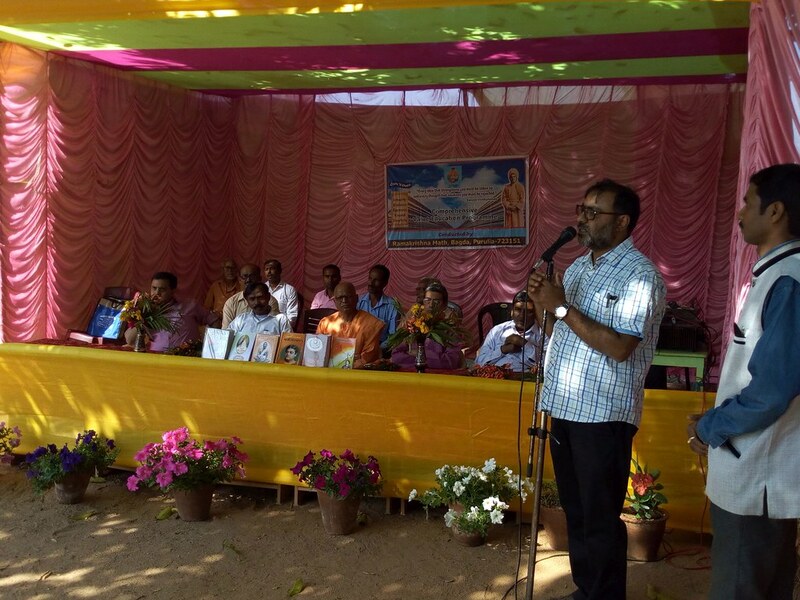 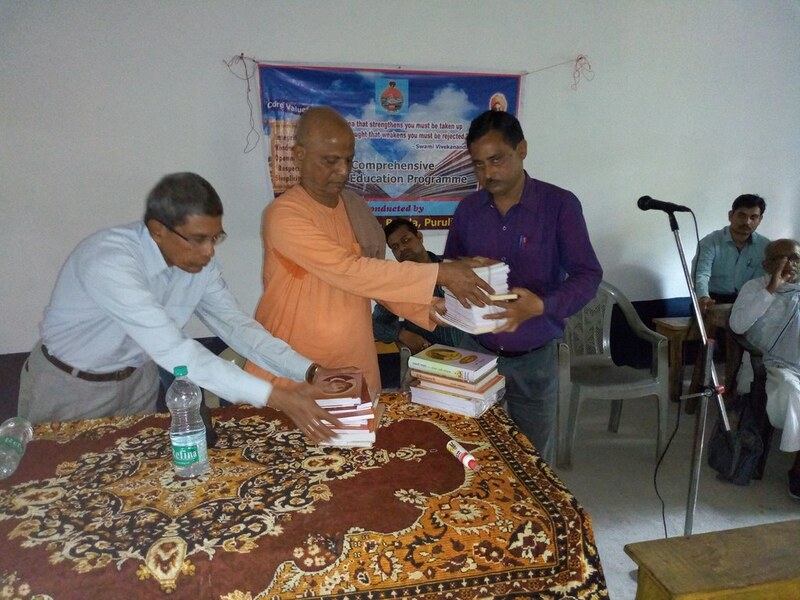 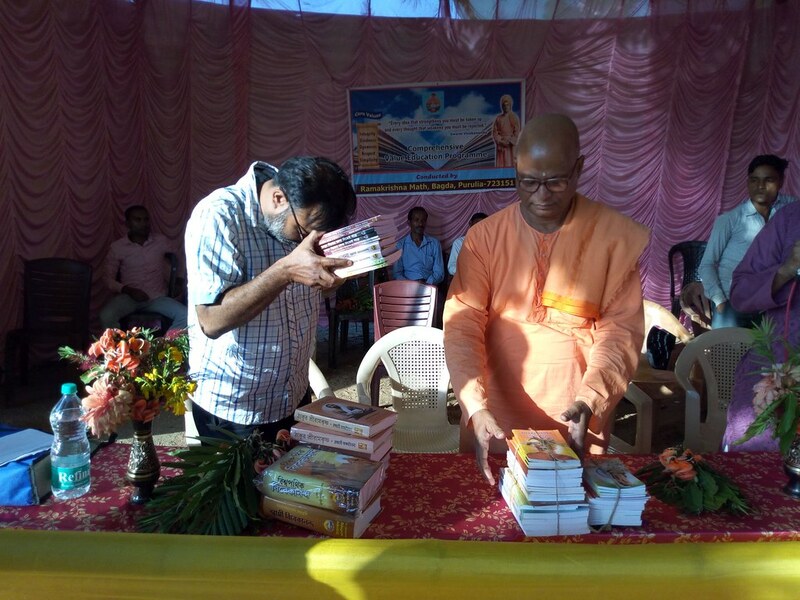 All the participants were given books on moral values, Swami Vivekananda’s Chicago Addresses. 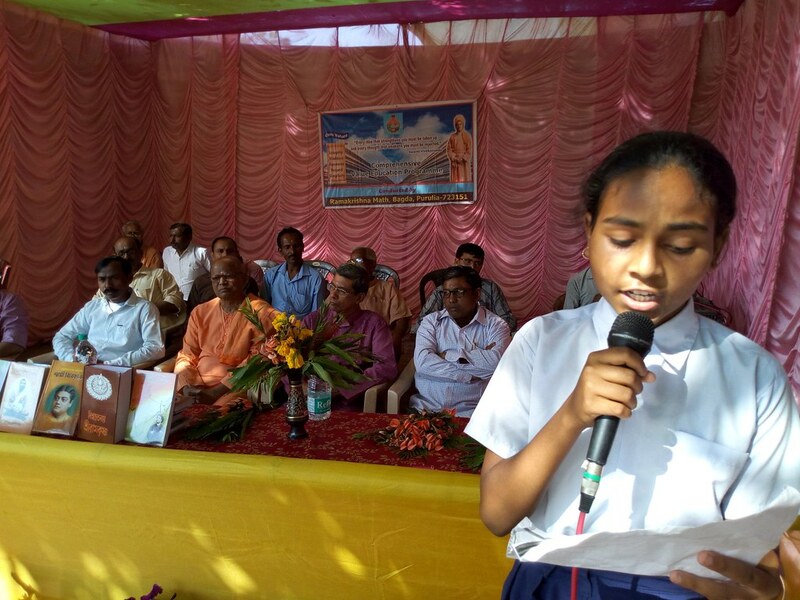 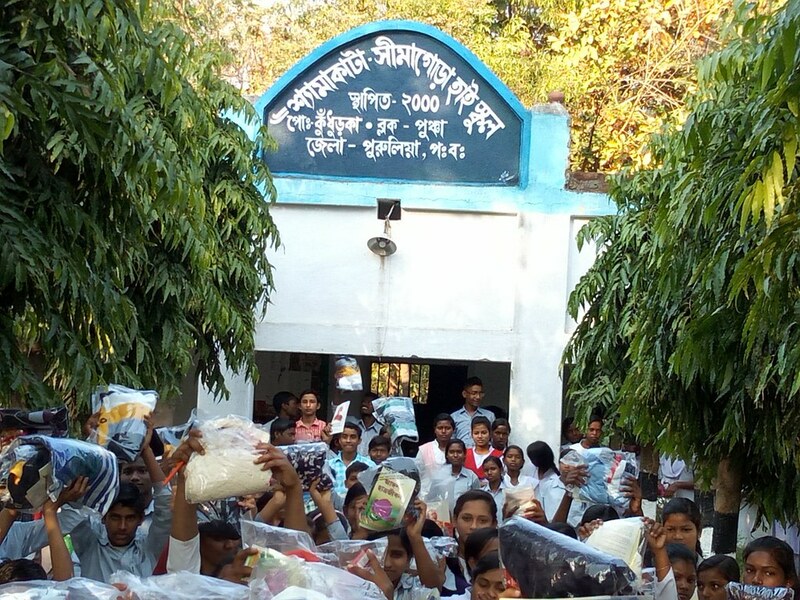 In total there were 2824 participants – 1339 boys, 1373 girls and 112 teachers & others.